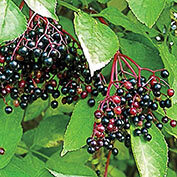 Wyldewood Elderberry | Gurney's Seed & Nursery Co.
Great for wines and jam! Huge flower heads-up to 12" across-produce high yields of small, sweet, dark purple fruit in the late-summer months. To get the best flavor, let the fruit ripen on the shrub before picking. When harvesting, prune off the entire fruit cluster and then strip the berries into a large bowl or bucket. Berries do not keep well at room temperature so be sure to keep refrigerated-and process them as soon as possible. This is a great variety for making wine and jam. An excellent source of vitamin C, too! Attractive, deer-resistant plant is upright and rounded, and can easily be pruned as a shrub or tree. Bears fruit in 2-3 years. Grows 5-8' tall with an equal spread. Choose a full-sun to part-shade site with consistently moist soil. 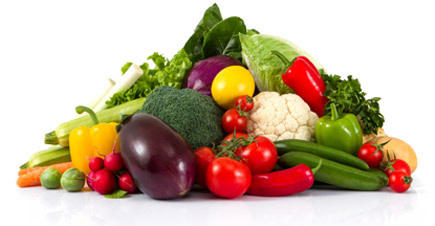 Tolerant of most soil types. Two varieties needed for pollination and you can mix and match any of our elderberries for your garden. Zones 4-8. Pollinator: 'Wyldewood' needs to be cross-pollinated and we recommend 'Bob Gordon' or 'York'. Fruit: Small, sweet, dark purple fruit. Flower Form: Huge flower heads-up to 12 inches across. Pruning: Can easily be pruned as a shrub or tree. Will fruit second year and those canes should be removed late that fall and every fall thereafter, cut out the fruiting canes. 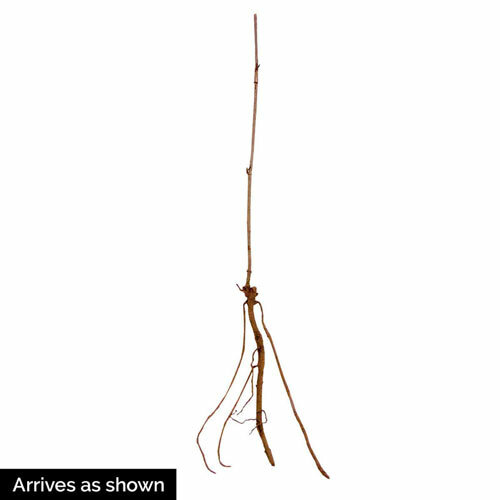 The growth habit makes it easy to prune and maintain a nice bush. 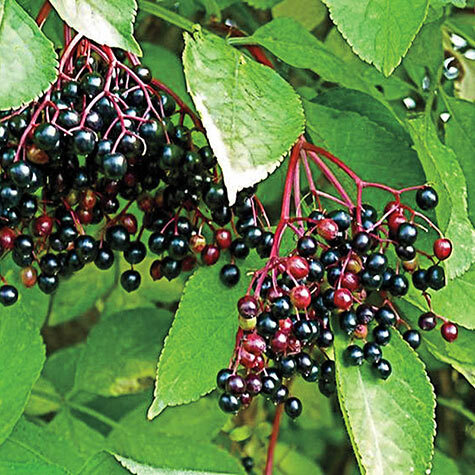 Comments: 'Wyldewood' is a new American Elderberry hybrid with high yields and superior fruit production from its immense flower heads that often reach up to 12 inches across.